Thank you for choosing the UCLA Ambulatory Surgery Center in Westwood for your upcoming surgery or procedure. Please carefully follow these important guidelines in conjunction with your physician’s instructions. Your surgery may be postponed if these guidelines are not followed. The UCLA Ambulatory Surgery Center in Westwood is located in the Peter Morton Medical Building at 200 UCLA Medical Plaza on the 6th floor in Suite 660. You can contact us at (310) 794-1106 or (310) 794-1085. Your doctor’s office will give you a preliminary time your surgery is scheduled to take place. One business day before your surgery—usually after 3 pm—you will be contacted by a registered nurse from the UCLA Ambulatory Surgery Center in Westwood who will confirm your arrival time. Please note that since changes may occur in scheduling, your confirmed surgery time may be different from the preliminary scheduled time. Please refrain from scheduling activities around your surgery, as the confirmed time may change from morning to afternoon, or vice versa. The nurse will give you instructions when to stop eating and drinking and will ask you questions about your medical history and current medications. If you have not received a call by 5 pm the day before your surgery, please call the UCLA Ambulatory Surgery Center in Westwood at (310) 794-1085. If your surgery is on Monday, you will receive the phone call the preceding Friday. You will have the opportunity to ask questions that you may have. Please tell the nurse if you recently had or currently have a cold or fever. Anesthesia is not safe if you have recently had a cold or respiratory tract infection. Please report any injuries, infection at surgical site, tooth infection, or other condition that may require postponement of your surgery. Please let the nurse know if you will need wheelchair assistance. The following are general guidelines for preparing for your surgery. In addition, please follow the directions that you receive from your surgeon and ask your surgeon or primary care physician if you have any specific questions. Two weeks prior to your surgery, stop taking aspirin, ibuprofen or any products that contain aspirin or ibuprofen, such as Advil or Motrin, unless specified by your surgeon, as these can cause prolonged bleeding. Ask your doctor about alternative medications you can use, such as acetaminophen (Tylenol). 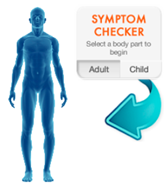 Complete any tests that have been ordered by your doctor prior to your surgery. The results are needed in advance for your physician to review before performing your procedure. Bring all relevant medical records including imaging studies (ST, MRI or X-rays), lab results and EKG reports with you on the day of your surgery. Please be sure to arrange for a responsible adult to drive you home after surgery. This does not include public transportation, a taxi driver or ridesharing services. Your surgery will be cancelled if you do not have a responsible adult available to take you home at time of discharge. If you have made arrangements to stay overnight, you will be discharged by 8 am the next day. Below are guidelines about eating and drinking prior to your surgery or procedure. Under anesthesia, you may vomit the contents of your stomach into your lungs, possibly causing pneumonia and even death. Please follow instructions from your surgeon in conjunction with these guidelines. Do not chew gum or eat candy or mints after midnight the night before your surgery. Do not smoke after midnight the night before your surgery, as this hinders circulation and breathing. Adults may have 8 ounces of clear water or apple juice up until 2 hours prior to your instructed arrival time. May have breast milk or formula until 4 hours prior to your instructed arrival time. May have clear liquids (clear water or Pedialyte ONLY) until 2 hours prior to instructed arrival time. May have clear liquids (clear water, apple juice or Pedialyte ONLY) until 2 hours prior to instructed arrival time. Please complete the Medication History Form and bring it with you to your scheduled surgery. When filling out your Medication History Form, please accurately note the dose and frequency of each medication and supplement. Download the Medication History Form. As previously noted, stop taking aspirin, ibuprofen or any products that contain aspirin or ibuprofen, such as Advil or Motrin, two weeks prior to your surgery unless specified by your surgeon. Please discontinue any herbal supplements and fish oils two weeks prior to your surgery unless instructed by your physician. Unless instructed to do so, please continue to take your medications as prescribed by your physician. Remember to only have a small sip of water with your medications. Do not take any medication less than two hours prior to your arrival time. Your prompt arrival is important in order to give our staff enough time to get you ready for your surgery. If you foresee a problem arriving on time, please notify us as soon as possible by calling (310) 794-1106 or (310) 794-1085. Eat or drink anything after your specified time. Have not arranged for transportation home with a responsible adult. Have a cold, fever or any other condition that makes your surgery unsafe. Parking is available in the parking garage at 200 UCLA Medical Plaza. There is a fee to park. The Ambulatory Surgery Center cannot validate parking or reimburse the parking fee. 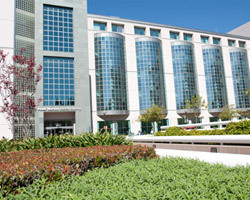 The UCLA Ambulatory Surgery Center in Westwood is located in the Peter Morton Medical Building at 200 UCLA Medical Plaza. Please take the elevator to the 6th floor and proceed to Suite 660 to check in for your surgery or procedure. When you check into the Ambulatory Surgery Center, the receptionist may ask you to fill out additional paperwork. At this time, any remaining financial concerns may be addressed. Please bring an ID, your cellular telephone, insurance cards and a minimal amount of cash or one credit card, which may be needed to pay for parking, purchasing medications or insurance co-payments. We are unable to replace lost or misplaced personal items. Therefore, we recommend that you bring only essential items such as glasses, dentures, hearing aids, canes, walkers or wheelchairs to our facility. If you wear contact lenses or glasses, you may be asked to remove them before surgery. Please bring a case for safekeeping. Leave valuables such as jewelry including rings, watches, earrings and body piercings at home or with your family member. All jewelry must be removed prior to surgery. Wear comfortable, loose-fitting clothes and low-heeled shoes. Depending on your procedure, you may have bulky bandages that will require loose-fitting clothes when you go home. Please refrain from wearing makeup and fingernail polish. Nail polish may interfere with monitoring equipment during your surgery. After checking in at the reception area, you will be escorted to the Pretreatment Unit where a nurse will ask you to change into a hospital gown and begin the preoperative assessment. The nurse will ask you pertinent health questions that are necessary for a complete evaluation. An anesthesiologist will discuss the appropriate anesthetic options with you and answer your questions. An operating room nurse and your surgeon will speak to you to confirm the details of your surgery prior to going into the operating room. If you have not already done so, you will be asked to sign the Consent for Procedure or Surgery and the Consent for Anesthesia forms. Children and minors under 18 years of age must have a parent or legal guardian available to sign the consents. If applicable, please bring proper documentation that you are the minor’s legal guardian. When the preoperative assessment is complete and all consents have been signed, you will be escorted into the surgical suite where your surgical team—consisting of your surgeon, anesthesiologist and surgical nurses—will stay with you throughout the procedure. Patient care needs require that we limit the number of people allowed in the Pretreatment Unit. Only one person is allowed to accompany you in the preoperative area. Minors may have two accompanying adults. During your surgery, all family members and friends will be asked to wait in the reception area or the Family Waiting Room. 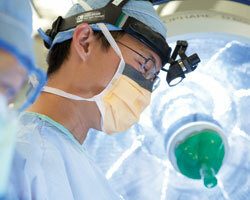 Following surgery, you will be transferred to the Post Anesthesia Care Unit (PACU). In the PACU, you will be closely monitored as you recover from your anesthetic. Your surgeon or nurse will let your relatives or friends waiting in the Family Waiting Room know that the procedure has been completed and will let them know when you can have visitors. One person at a time is allowed to visit with you in the PACU area. It is not recommended for small children to visit the PACU. The length of stay in the PACU will depend on many factors, including pain control, comfort and instructions from your surgeon. If you are scheduled to remain overnight, you will continue to be monitored throughout the night. The PACU cannot accommodate friends and family after 8 pm or overnight. During your recovery time in the PACU, your nurse will give you or your family written instructions that may include how to care for your surgical site, what to expect during your recovery and assistance with walking. Be sure to follow the discharge instructions given to you by your nurse at the Ambulatory Surgery Center. This will ensure the best possible recovery from your surgery or procedure. Please ask questions regarding your care at this time. If medications are ordered, they may be available to pick up from the 200 UCLA Medical Plaza 4th Floor Pharmacy located two floors below the Ambulatory Surgery Center in Suite 426. You have the option to use a pharmacy of your choice. Once it is determined by the surgical team that you are ready to go home, you will be able to get dressed and leave with a responsible adult. We require that you have a responsible adult available to accompany you home. This does not include public transportation, a taxi driver or other ridesharing services. Your surgery will be cancelled if you do not have a responsible adult available to take you home at time of discharge. If you have any immediate concerns about your medical condition once you arrive home, such as fever, chills, severe nausea, vomiting, bleeding or severe pain, contact the Ronald Reagan UCLA Medical Center page operator by calling (310) 825-6301 and pressing 1. 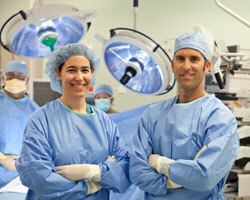 The operator will help you contact your surgeon or the designated resident on call. If it is an emergency, dial 911 or report to the nearest emergency room. The day after your surgery or procedure, you will receive a call from one of our nurses to make sure you are well on your way to recovery. If your surgery was on a Friday, you should expect a call the following Monday morning. Again, thank you for choosing the UCLA Ambulatory Surgery Center in Westwood for your upcoming surgery. To help ensure that we are providing the best care possible, please provide us with some details about your experience. 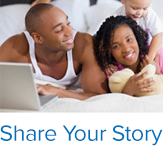 We value your feedback and want to hear from you. In the weeks following your surgery, you may receive a survey from Press Ganey regarding your experience at the UCLA Ambulatory Surgery Center in Westwood. Please complete the survey and use the provided postage-paid envelope to mail your response. 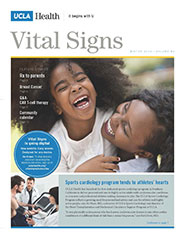 Immediate feedback may also be provided via the “Share Your Experience” cards that are available in Reception and the Family Waiting Room at the UCLA Ambulatory Surgery Center in Westwood. Please take a moment to let us know how we can continue to provide exceptional service. These cards can be returned to any feedback box located throughout UCLA Health locations, or mailed to the address provided on the back of the card.